To celebrate their new home, they are having an opening party this Saturday, August 24th. 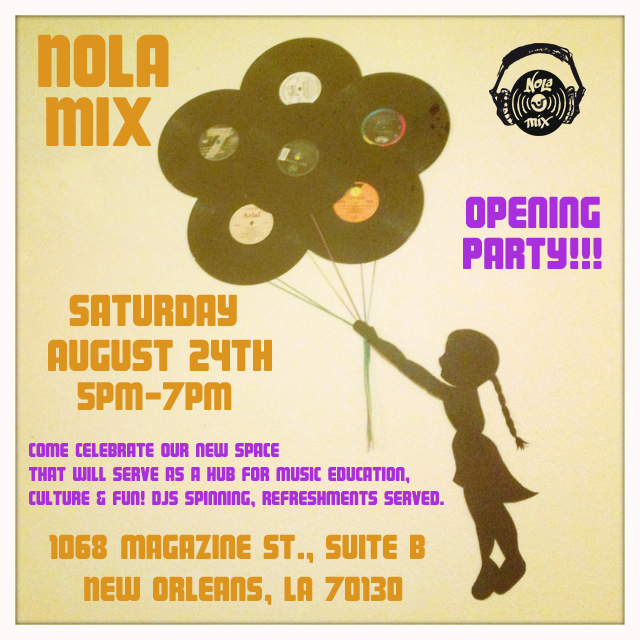 Try out their DJ & music production gear, listen to some music and enjoy some refreshments. Find out about upcoming programming and meet like minded folks. (The entrance is to the right of Magazine Pizza. There is a purple NOLA MIX sticker by the door. Please call (617) 216-2843 if you’d like directions).